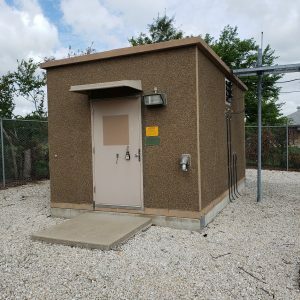 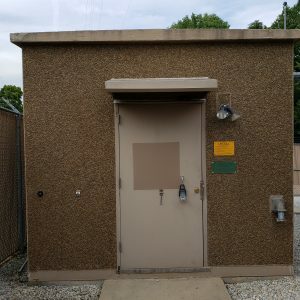 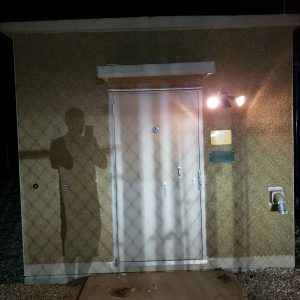 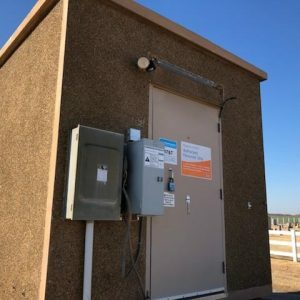 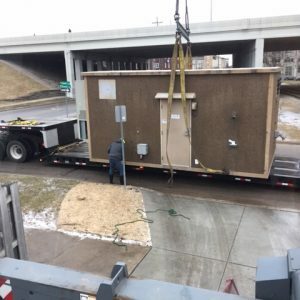 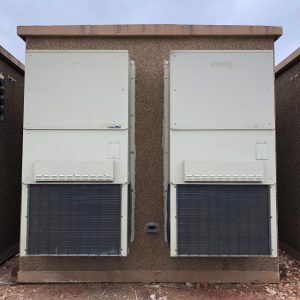 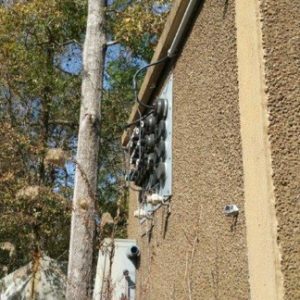 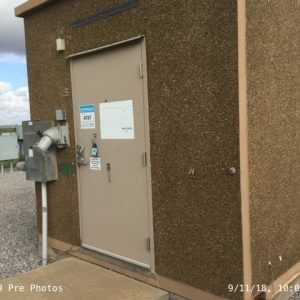 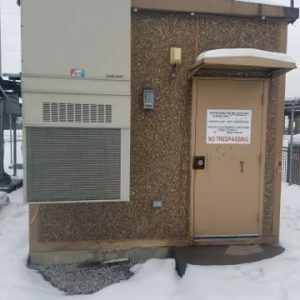 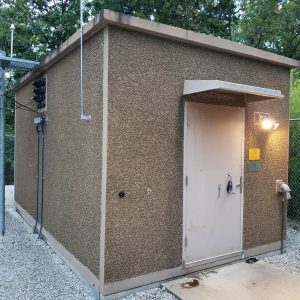 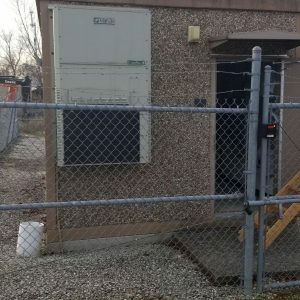 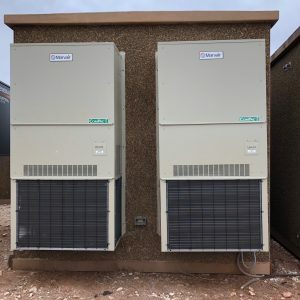 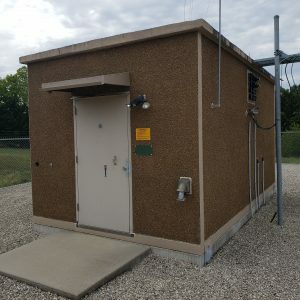 Concrete Shelters - UsedShelter.com - Used Telecom Shelters & Cabinets for surplus/bargain prices! 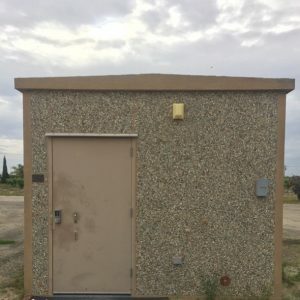 Concrete has been used in shelter construction for centuries. 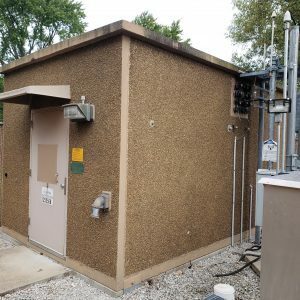 The ancient Romans used concrete of some form in building the structures and systems structures of their vast empire. 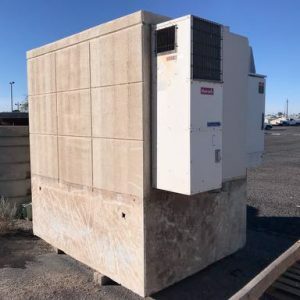 But unlike the ancient Roman process of mixing of concrete, today’s manufacturers utilize sophisticated technology to mix, form, cure, and assemble concrete shelters. 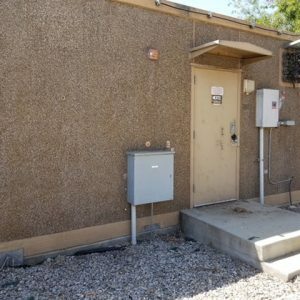 Specific “computerized concrete batch plant” determines the concrete mix to be used per batch influenced, in part, by weather conditions that affect the mixing and curing processes. 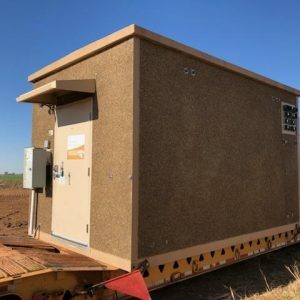 Mechanized systems transport the concrete mix to the casting bed where vibrating “beds” breaks down air pockets. 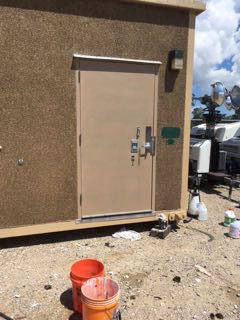 Customer-selected finishes are applied to the exterior surface of the panel and then the casting bed is moved to a storage elevator to complete the curing process. 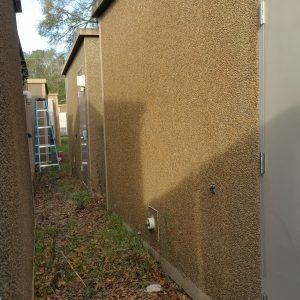 Concrete shelters are generally maintenance free. 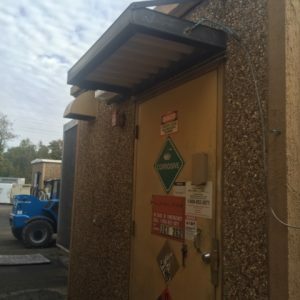 It doesn’t rust, warp, corrode, rot, or burn. 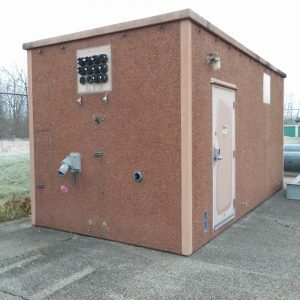 And despite being concrete, many shelters are “lightweight” concrete structures that can be easily relocated, as needed. 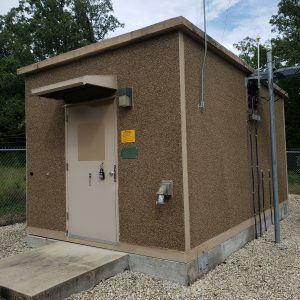 Concrete shelter exteriors can be painted or dyed, stamped, or “laminated” with aggregate panels for greater aesthetic appeal.